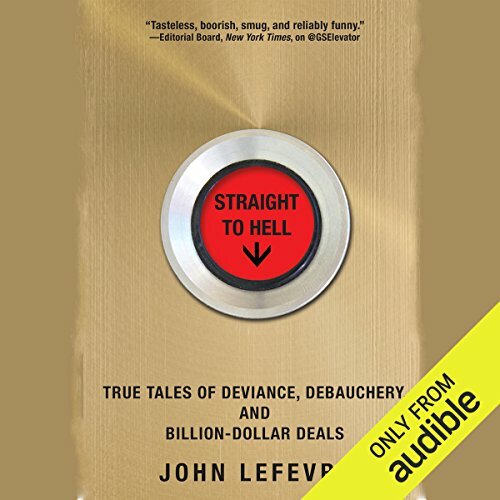 Where @GSElevator captured the essence of the banking elite with curated jokes and submissions overheard by readers, Straight to Hell adds John LeFevre's own story - an unapologetic and darkly funny account of a career as a globe-conquering investment banker spanning New York, London, and Hong Kong. Straight to Hell pulls back the curtain on a world that is both hated and envied, taking listeners from the trading floors and roadshows to private planes and after-hours overindulgence. 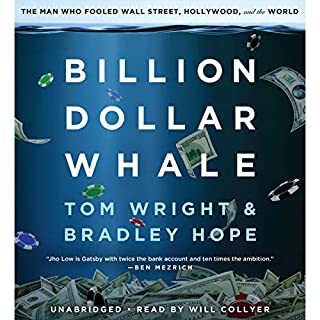 Full of shocking lawlessness, boyish antics, and win-at-all-costs schemes, this is the definitive take on the deviant, dysfunctional, and absolutely excessive world of finance. ©2015 John LeFevre. (P)2015 Audible, Inc. I think the people that left negative reviews haven't read / followed the Twitter account. Definitely worth the time if you are looking for entertainment. Super funny and the narrator did a great job. Fabulous book!! 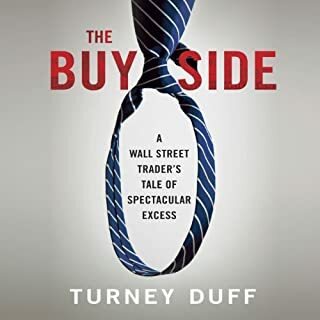 I work in public accounting and have investment banker friends as well - so this book made a lot of sense. Honest and hilarious with small patches of compassion. 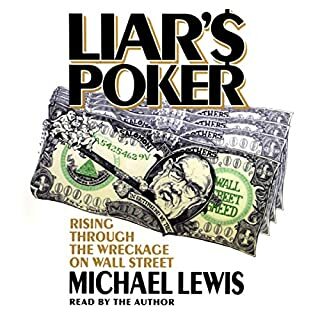 If you work in the financial word and enjoy humor and wit, this is a perfect book. Even my husband, who is not in the finance industry, thoroughly enjoyed it!! Must read! The narrator reads it accordingly! If you could sum up Straight to Hell in three words, what would they be? "I chose poorly" In my attempts to find a career path when I was younger, I believe I would have been a great broker! This sounded WAY to fun and WAY to addicting! John, his perception of each situation was fantastic! I could literally see into every situation like I was there as well. I was able to in 2 settings. Great read! If I were more familiar with his trade I would have been a little more in the know but overall great book! The stories were fantastic!! I've been postponing this review for a few weeks already. I just don't like writing negative reviews, full stop. I never have enough to say. In a nutshell: while there are a few funny moments, this book has no substance. I went along with it because it was on audio and it was easy to switch off, but my experience was less than satisfactory. And it had nothing to do with the narrator, who did a very good job. First of all, for a memoir there are hardly any timelines, and mostly it reads like a collection of crazy stories from the author's past in Hong Kong. Not only it's a non-linear plot, it's mostly repeated fluff: dirty deals, waste of corporate expenses on stupid high end drinks and food in the restaurants, pranks in the style of private school boys and lots and lots of coke and women. The style is sardonic, condescending, misogynistic and really tiring. 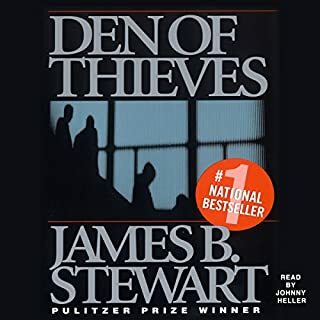 You don't really get anything substantial from the main character's life or his personality, there is no sense of his co-workers or anything beyond the topics I mentioned above. I giggled in few places, but other than that I was unimpressed. I found @GSelevator tweets hilarious and liked the premise behind how/why the author started the account. 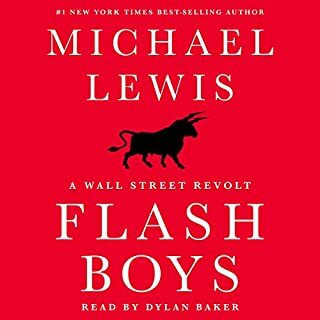 The book gives more details away about the frat life of investment banking. It's an entertaining collection of stories up until about halfway through when you find yourself saying alright I've heard enough! Information overload! These are all the stories from your buddy who drinks too much and winds up in comical, but mostly stupid situations. Yeah, it's pretty much what you expected. I just didn't expect to be so thrilled for the book to end. His one liners are great though.. While the narrator effectively captures the first person narcissistic sneer, repeated mispronounciations of common words is quite annoying. 1. Expat is not pronounced "expate"
2. Lehman is not pronounced "lay man"
Would you listen to Straight to Hell again? Why? 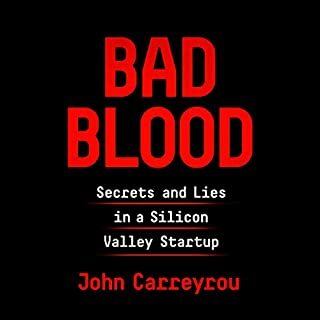 This is the best audio book I have ever listened to. It is so funny and I can't stop listening to it. This is a disappointing book. Sophomoric, idiotic, and pathetic. Has the literary value of a poor re-write of Animal House (the movie). The only way this could have been a best-seller, was if the author bought a large quantity of books himself. Sure hope this book is just the first in line from John LeFerve! I'm definitely going to re-listen it.